Some of you may take a look at the picture of this beautiful pumpkin tart and think to yourselves “this cannot POSSIBLY be healthy!” However as you read through the recipe, you’ll notice that it contains significantly less calories and sugar than your standard chocolate, pumpkin tart! Over the years I’ve discovered that making your own treats at home can not only taste amazing, it can also save you from packing on the pounds. By making your own recipes at home, you can control how much of each ingredient you add. So instead of buying a pie laden with excess sugar and fat, try mixing up your very own at home! I absolutely love this recipe because it’s relatively guilt-free (unless of course you eat the entire thing.. which is easier to do than it sounds). =P I’m sure it will leave you happy and satisfied! What would fall and Thanksgiving be without pumpkin? They decorate our porches, hold savory soups, and make charming, autumnal centerpieces. We bake them, turning their moist, healthy goodness into muffins, breads, cupcakes and pies. So how about an elegant tart with a dark chocolate crust, and more chocolate drizzled over the top? 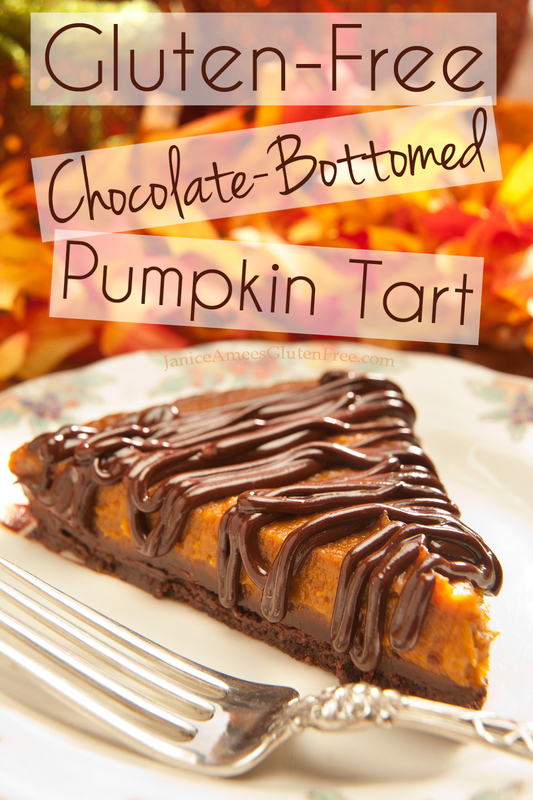 This gluten-free tart combines the sweet, creamy texture of chocolate and pumpkin with a crisp cookie-like crust. The crust supports a filling that is light, and closer to a custard or flan, than a traditional pumpkin pie. So don’t think you’ve done something wrong if it’s not as dense and doesn’t set up as firmly. And for those with egg or dairy allergies, this tart can be made without either one of those! So let’s begin with the crust, shall we? Measure and mix almond flour, cocoa powder and whisk with a fork. Add the coconut oil and (with a fork), work the oil/butter through the flour/cocoa powder until there are no more big clumps. Add the egg or egg replacement (if using an egg replacement make sure to prepare it before adding it to the other ingredients) and once more work it through. Then press this mixture into tart pan evenly over the bottom only. Pierce the bottom with a fork and place in the oven on a cookie sheet. Bake for 15 minutes. Cool on a rack. While it is cooling, slowly melt the chocolate and 2 Tablespoons milk in a saucepan on the stove, stirring constantly until it is creamy and smooth. Then pour over the prepared crust and spread across the bottom with a spatula (like frosting the top of a cake). Pop it into the freezer for 10 – 15 minutes while you prepare the filling. Measure and mix (by hand or with a standing mixer) the filling ingredients which include: pumpkin, sugar, pumpkin spice, arrowroot, baking soda, sea salt and coconut milk. Pour over the top of the chocolate-bottomed crust. Smooth and bake for 50 minutes. Allow to cool then refrigerate for at least an hour before gently removing from the tart pan and cutting. Or serve directly from the pie pan. If you wish to add the chocolate drizzle or cover the entire top, slowly melt the dark or semi-sweet chocolate and milk in a sauce pan on top of the stove. Stir constantly and then drizzle or spread over the top of the whole pie, or slice (as you prefer). * If you don’t have almond flour, you may substitute it with almond meal or finely ground almonds. There will be a slight difference in the texture, but it won’t affect the taste. OR you may also use (crushed) gluten-free graham crackers or another gluten-free cookie. ** An egg alternative may be made by mixing 1 Tablespoon Chia seeds or ground Flax seeds and 3 Tablespoons hot water and allowing to sit until it forms a thick gel. 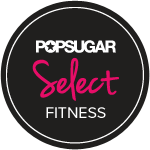 *** Some people prefer to use less sugar so I have given, what my testers felt, was the least amount of sugar to be used and still achieve the best dessert flavor. But please, feel free to adjust it to your own tastes. For more amazing gluten-free recipes, check out: www.JaniceAmeesGlutenFree.com!